I booked All American Relocation Group on a day’s notice! I talked to their manager for an hour explaining my situation. He was very understanding. The crew was dispatched early in the next morning. My house was a mess as the movers I hired initially made a complete mess out of packing and I had to let them go. The crew had to pick up where they left off and deal with the mess too. They did so quickly! Within an hour all our things were packed and loaded onto their van. The previous movers couldn’t do 10% of the work in a 6 hour shift. This makes me wonder if these small companies even know what they’re doing. Thankfully these guys knew what they were doing. They provided me with a stress free experience despite the fact that it was an out of the ordinary kind of job. I am very grateful to them. Mr.Schwartz Thank you! We are thrilled that your moving experience was a great one as this is the standard we like to set. We aim to make the process as easy and stress free for you as possible. Thank you again and wish you the best at your new location! The movers from All American Moving are amazing! I am so glad I found them. They moved us from our 4th floor walk-up to a high-rise halfway across the country and everything went flawlessly. The two movers showed up on time, were professional, courteous, and handled all our possessions with respect and care. The whole move was done immaculately and they stayed within their estimated timeframe. There is an intense inventory process where you have to list and detail every item you want to move, but then it makes the move so much easier because it's all included in the price and there's no haggling. I would definitely contact them in the future, and will recommend them to all my friends!! Steve We appreciate you! Thanks for the feedback and we hope you and your family enjoy the new place. Please call us if you need any anything going forward. If I could give zero stars I would. From the multiple price increases of our move (3k-10k) because they didn’t send someone to estimate our costs. To promising our stuff will arrive in seven days and it wasn’t till 2 weeks after. Then telling us we can pay our remaining balance the day the drop off and calling a week in advance basically demanding we pay something in advanced to insure their money gets to them. Oh and the freight driver rescheduled with us 3 times and was five hours late because he over slept and not to mention I had to decipher the unprofessional texts that were sent to me. A very expensive lesson to never work with them again. Terrible experience when you are moving your family across country. I would recommended them if you have a lot of money to spend, time to take off work, enjoy being pushed around to different contractors and treated poorly by customer service. We apologize that you feel as if you had a bad experience moving with us. Please keep in mind we provided you with an over the phone estimate based on the inventory items that you provided us. As well as how many boxes calculated for the movers to pack. When you made the reservation on 2/11/19 the inventory that was provided to us was a total of 57 items and the cubic feet was reserved for 521cf. On 3/19/19 a revision was made to the order and the inventory went up to 90 items and a space reservation for 758cf. When the movers arrived on 3/25/19 you actually had 130 items and the total cubic feet that was taken up on the truck was 1700cf. The carrier simply just charged you for the extra space you occupied in the truck at the same rate per cubic foot you were already locked in at. 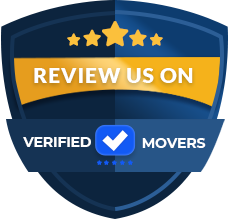 We strive to have excellent customer service and assist the clients as best we can, I do not see that you called into All American Moving after the pickup was completed. If you have any questions or concerns please feel free to reach out to us to resolve any matters. My uncle owns a moving company so obviously I went to him when I was moving. I didn’t know anything about moving. A friend of mine asked me to talk to other companies just to check the price. Then I talked to All American Moving. They quoted a very low price, even lower than the other company, and I was wondering what an idiot I had been. I hired them immediately. Their performance was so professional. The movers were punctual, efficient and strong. They were so helpful and polite. In the end, the bill was exactly what they estimated earlier. I don’t want to ruin my uncle’s business but I wouldn’t be hiring his services in the future. Philip We appreciate you! Thanks for the feedback and we hope you and your family enjoy the new place. Please call us if you need any anything going forward. If I could give more than 5 stars to All American Moving, I would. From start to finish, the experience was beyond our expectations. From the first outreach, their manager was responsive to our inquiry, helped us understand inventory and pricing, and set expectations along the way about what to expect before and on the moving day. When the movers arrived (promptly! ), they introduced themselves and walked through what they planned on doing to get us packed up. They took great care in packaging our items, and not a single thing was broken, misplaced, or scratched. They delivered our items in the appropriate rooms and ensured everything was accounted for before departing. I moved quite a long distance, but when I move again, I plan on calling them again. You cannot put a price on the care they provide for your belongings - even though the pricing was extremely reasonable! - And this company truly treats your things as their own. Earl, Thank you for trusting us with your long distance, household move. We're happy to hear your satisfied with the services and we will do our best to keep this rolling until the delivery. Please call us if you need any updates or have any questions. Moving is an inherently painful process, but All American Moving made it so much better! To start, the manager is very responsive via email, has reasonable rates, and was on top of the management. On the day of the move, foreman of the moving crew called to tell me he was early, then scoped out the move. Once they started, it was like an attack by a pack of moving ninjas! I largely stayed out of their way because otherwise I would've slowed them down. They were moving so fast it was mesmerizing to watch! If you're worried about them taking their sweet time because they're charging by the hour, do not fear! They worked like they were being charged by the quality, not charging by the time! Everything that I thought would be a big deal - large bed requiring disassembly/reassembly, stairs, things not in boxes etc were always met with "no big deal", "no problem", "I got this." What else can I ask for? Thanks guys! Greg Thank you! We are thrilled that your moving experience was a great one as this is the standard we like to set. We aim to make the process as easy and stress free for you as possible. Thank you again and wish you the best at your new location! This was our first experience using professional movers and I can say that these guys were GREAT! Both the movers sent from All American Moving were super professional, friendly and very efficient. They chatted with us while staying on task, joking and singing- super fun to work with. We had moved our own possessions and simply asked them to move heavy furniture. They announced when they started the timer, which was right before they picked up the first piece of furniture, and came in almost an hour under the original estimate! In doing research, I noticed that their hourly rate is a little higher than some other companies. I think these guys are well worth what they charge for the quality. Not a single item was damaged and their professionalism was impressive. I didn’t care for the extra 10 dollars I spent on them because that ensured the safety of my valuables- think of it as insurance money! We are thrilled that your moving experience was a great one as this is the standard we like to set. We aim to make the process as easy and stress free for you as possible. Thank you again and wish you the best at your new location! This document is full disclosure to you, the fee collected by All American moving LLC is a broker fee. This is the fee that pays for full facilitation of locating you a fully licensed and insured motor carrier to relocate your household items. The carrier pay, which will be paid to them directly at the time of pickup & delivery in two payments by you. You are aware that these are two separate transactions; one between All American moving LLC and one between yourself and the carrier in which is assigned. All American moving LLC does not participate in the collection of carriers pay nor do we share in the proceeds of these funds. Once your payment is processed on our end we will immediately begin in the scheduling and dispatch process in order to initiate your household goods transport through a licensed and insured carrier. Since our service begins immediately and we promptly begin our process you understand that this fee is non-refundable with no exceptions once your payment method is processed. 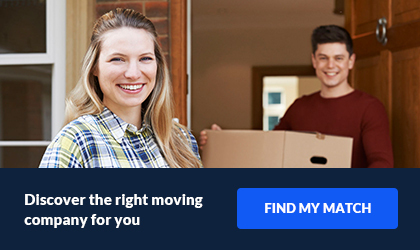 A carrier is assigned to your move within 72 hours. 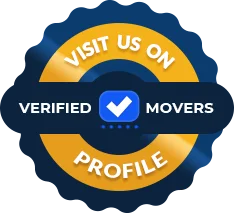 •	If the move is cancelled within 72 hours of move being booked and cancellation policy signed, All American moving LLC will keep 15% of the deposit for processing fees. We do require written notice of cancellation and refunds will take 3-7 business days from the date we receive your written cancellation notice. •	Should this agreement be cancelled by you after 72 hours from the date the document is signed all services on behalf of All American moving LLC will be considered “Services Rendered” and there will be NO REFUND of deposit made. I have lots of glass and white cloth furniture and the movers from All American Moving came prepared with tools to disassemble and reassemble my items. They wrapped everything so it wouldn't get dirty or damaged. The location of the elevators in proximity to my place in both locations made the move take longer but the foreman and his team of movers were champs about it and very professional. It was my best moving experience. I would highly recommend them. I had more affordable movers but something would always get damaged or left behind, my team was worth the price. And I had a lot going on the day of the move so having them not need to be supervised to work fast was a plus I hate when moving companies work the clock to make the move more expensive, I didn't feel like they were that way at all and I'm appreciative. Thomas Thank you! We appreciate you as a customer and it was our pleasure to assist in your relocation. These guys from All American Moving did a great job of briefly getting to know me while also efficiently getting the job done. Our house features an extremely steep driveway that moving trucks never make it up. Our three movers did the entire move by foot up the driveway in the rains of a tornado. AND we had an active remodeling crew there to boot. No falls, no broken goods. Their foreman is a great team leader, and the other movers cracked me up every time they asked me with a grin, "Are we going too slow?" They weren't too slow, and they got the job done. Thanks! Randy Thank you for posting. We love hearing this type of feedback and wish you the best at your new location! I am one of the regular customers of All American Moving. I have used this wonderful company several times for different kind of moves. They never let me down. Their sales rep and the movers have the perfect sync between them and they also try to give the best for their customers. That is why I always prefer to use All American Moving. I am so confident about this company that I can always put my hard earned money on them. Marty,Thank you for trusting us with your long distance, household move. We're happy to hear your satisfied with the services Please call us if you need any updates or have any questions. I have All American Moving two times and they are by far the most professional moving company I have ever dealt with. All their staff worked heart and soul to make it confirm that their clients get the best experience with their company. The sales agent spent ample time to listen to my concerns regarding the move. There was never a single issue! The guys worked very hard and flawlessly and completed the task. I am not going to move anywhere except with these guys. The way they followed me and took initiative; it was nothing but their loyalty for their clients. I must call them for my next move. Benny,Thank you very much for the company review! We really do appreciate it and are very glad you were satisfied with our services its been a pleasure working with you as well. We are always here if you ever need help in the future. Many companies have grown a habit of quoting a price and then adding twice the amount in the final bill at the end of the move. All American Moving did not do anything like that and I'm very grateful for it. I was happy with their service. Their movers were so friendly and efficient during my move. I don’t have any words to describe how good they were at packing or carrying out heavy items. They are the best at this job for sure. They handled my valuables and furniture with great care. It ensured a safely delivery of my belongings to my new house. All this efficiency at such a price is truly praiseworthy. Bruce, Thank you for trusting us with your long distance, household move. We're happy to hear your satisfied with the services and we will do our best to keep this rolling until the delivery. Please call us if you need any updates or have any questions. It sure is a long way my valuables had to travel. We hired All American Moving to move all my stuff. And I have to say, they did a great job. I wasn’t expecting the move to be smooth simply because of the great distance. Besides, there was an issue of delay with the delivery from our side. We had to change the delivery date because our rented house wasn’t vacant yet. They happily complied with our request and put our things in storage. My wife was very concerned what storage facilities would do to our valuables. Luckily, no major issues happened. A few glasses broke and one chair suffered some scratches. If any company promises you intact delivery with this long of a distance, don’t believe them. I was quite pleased with their services and would suggest others to hire them for sure. Thank you Peter! We appreciate you as a customer and it was our pleasure to assist in your relocation. I hired All American Moving to move my home halfway across America. During the planning, the scheduling staffs were patient and flexible when working with the overly restricted loading dock schedule and regulations of my new building. On the moving day, the staff showed up on time, did a walk through and estimate the efforts, set my expectations in terms of the time would take to finish the job. During the move, they were professional, making sure all the fragile pieces were wrapped properly. I have moved quite a few times over the years and have hired a few moving companies for the jobs. I can honestly say that these guys will definitely be the company that I will use for the next move. Thank you Henry! We appreciate your business and your feedback. Don't hesitate to call if you need anything further. All American Relocation Group is dedicated to providing the best professional services for our customers through quality training, friendly service and a customer first philosophy. Our mission is to exceed our customer&amp;amp;amp;rsquo;s expectations through affordable solutions and excellent customer service. Our company is founded on our own core values that moving should be safe, stress-free and affordable.